The chapter's story centers on a school trip to Kyoto with Ran and Shinichi, who has temporarily returned to his true form. While there, they get involved in an incident. 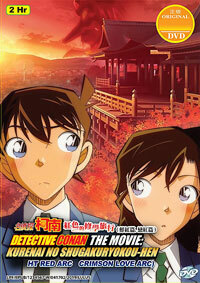 The story also features appearances by the characters Heiji Hattori, Kazuha Toyama, Momiji Ōoka, Soshi Okita, and Fumimaro Ayanokoji. The arc ran in the manga to celebrate the manga's 1,000th chapter, the first manga series in Shogakukan's Weekly Shonen Sunday magazine to reach the milestone.